The partners envision expanding Foxconn's "smart city" concept. 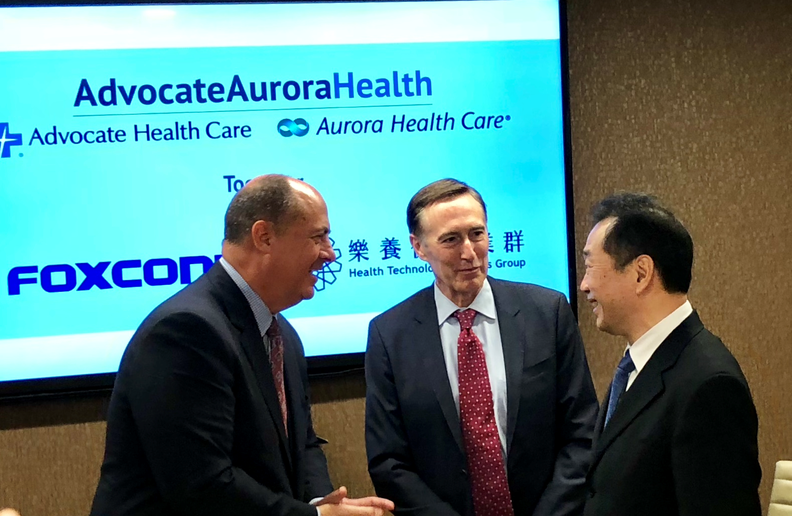 In this case, technology will collect employees' health, fitness and dietary data at work, home, healthcare clinics and at Advocate Aurora's planned $250 million hospital complex in Mount Pleasant, Wis., near Foxconn's plant. Eventually, even gyms will play along, said Rick Klein, Advocate Aurora's chief business development officer.